Allsopp & Allsopp are pleased to offer this beautifully presented four bedroom detached home situated on a private road built by Davison Homes. 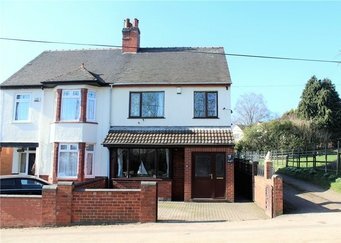 The location provides excellent transport links to the the M42 and A5 and also the A444 running through to Nuneaton Town Centre close by and also the Nuneaton Train Station just a few minutes drive away as well as being within the catchment area for Higham Lane school. This property has been built to an exacting standard with high spec fixtures and fittings throughout which have been lovingly maintained by the current owners. 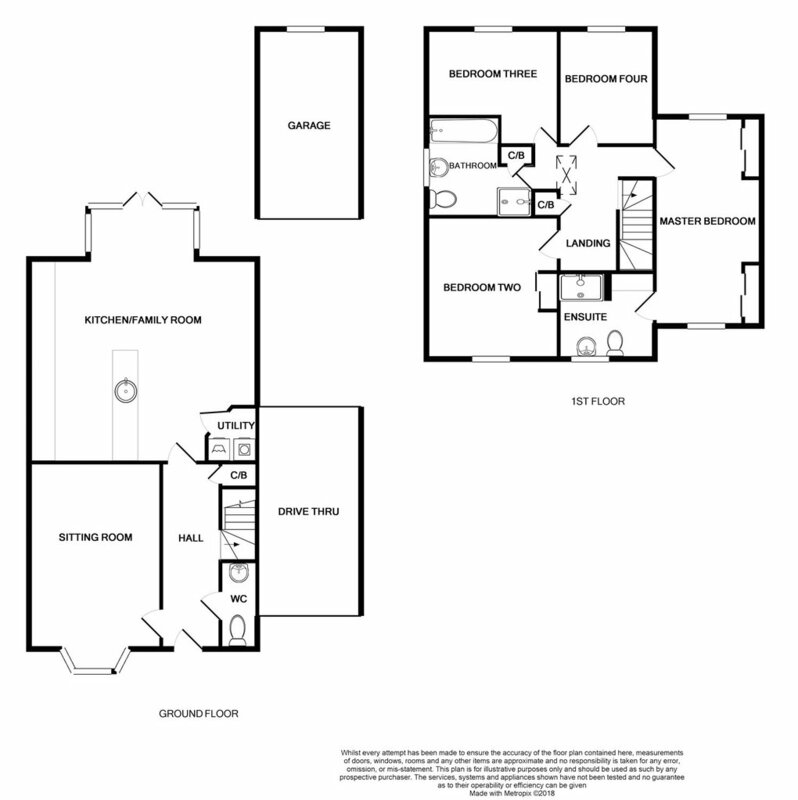 The ground floor comprises of a stunning open plan luxury fitted kitchen/diner, lounge/family room and a fitted wc. The first floor offers family accomodation comprising it's four double bedrooms with an en-suite / shower room to the master and finally a luxury fitted family bathroom / shower room. Further to benefit this property offers a large carport to the side leading to the garage. Viewings on this property are essential to appreciate the luxurious family accomodation. Living Room : 4.9m x 3.4m (16'1" x 11'3"), Double glazed bay window to the front aspect, TV point, telephone point, radiator. DOWNSTAIRS WC : 2.2m x 0.9m (7'3" x 3'1"), Low level WC and wash hand basin. Kitchen/Family Room : 5.9m x 5.3m (19'6" x 17'5"), A beautiful open plan kitchen/family room comprising; range of high gloss wall and base unit cupboards and drawers, round stainless steel sink with mixer tap over, integrated double oven and microwave, fitted gas hob with cookerhood over, integrated fridge freezer and white goods, spotlights, tiled flooring, TV point, double glazed French doors opening onto the rear garden. Door to utility room. Utility Room : 1.5m x 1.3m (4'9" x 4'3"), Space for white goods and plumbing for washing machine. Bedroom Two : 3.7m x 3.4m (12'1" x 11'), Double glazed window to the front aspect, built in wardrobe, radiator. Bedroom Three : 3.4m x 3.2m (11'3" x 10'7"), Double glazed window to the rear aspect, radiator. Bedroom Four : 3.3m x 2.4m (10'8" x 8'0"), Double glazed window to the rear aspect, radiator. Master Bedroom : 5.4m x 3.1m (17'9" x 10'3"), Dual aspect room with double glazed windows to the front and rear aspect, built in wardrobes, radiator. Door to ensuite. Ensuite Bathroom : 2.2m x 2.2m (7'3" x 7'1"), Opaque double glazed window to the front aspect, low level WC, wash hand basin, double shower cubicle with shower over, tiled flooring. Family Bathroom : 2.5m x 2.2m (8'2" x 7'1"), Opaque double glazed window to the side aspect, low level WC, wash hand basin, panelled bath, shower cubicle with shower over, tiled flooring. Carport : , Large car port providing off road parking for several vehicles.